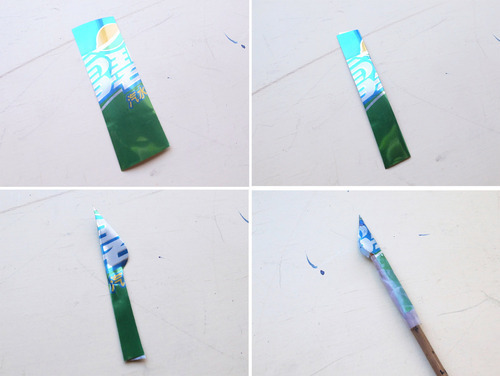 You’ll need tape, scissors, knife, disposable chopsticks, empty aluminium can, stapler and ink. 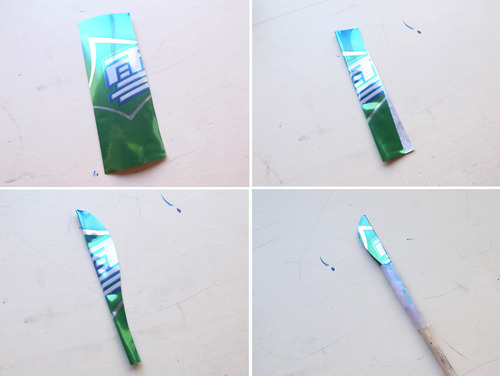 Calligraphy Pen for Gothic: cut the aluminium into two pieces like above and tape it on chopstick, then Staple the aluminium. Medium Point Calligraphy Pen: Fold a piece of aluminim, and cut it like picture above. Then tape it on chopstick. 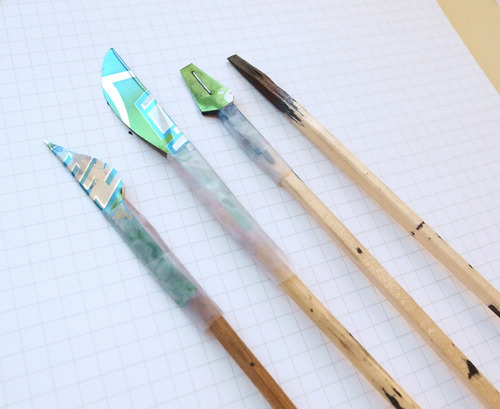 Fine Point Calligraphy Pen: Fold a piece of aluminim, and cut it like picture above. 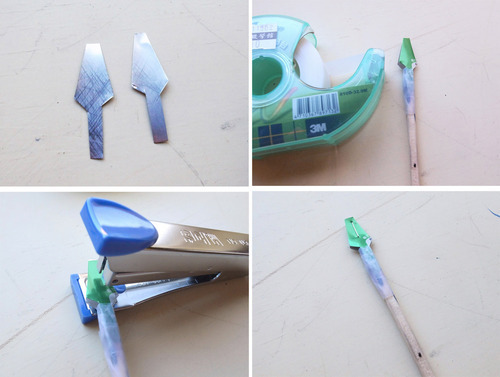 Then tape it on chopstick. Magic mushrooms may give users trippy experiences by creating a hyperconnected brain. The active ingredient in the psychedelic drug, psilocybin, seems to completely disrupt the normal communication networks in the brain, by connecting "brain regions that don't normally talk together," said study co-author Paul Expert, a physicist at King's College London. Psilocybin, the active ingredient in magic mushrooms, is best known for triggering vivid hallucinations. It can make colors seem oversaturated and dissolve the boundaries between objects. But the drug also seems to have more long-lasting effects. Many people report intensely spiritual experiences while taking the drug, and some studies even suggest that one transcendent trip can alter people's personalities on a long-term basis, making those individuals more open to new experiences and more appreciative of art, curiosity and emotion. People who experiment with psilocybin "report it as one of the most profound experiences they've had in their lives, even comparing it to the birth of their children," Expert told Live Science. Scientists have long known that psilocybin binds to a receptor in the brain for serotonin, a brain chemical that plays a role in mood, appetite and sleep, but exactly how the drug transforms the whole brain's pattern of communication isn't clear. In past work, Expert's colleagues had found that psilocybin spurred the brain into a more dreamlike state, and that the drug decreased brain activity. The team then compared the brain activity of the individuals on and off the drug, and created a map of connections between different brain regions. Psilocybin dramatically transformed the participants' brain organization, Expert said. With the drug, normally unconnected brain regions showed brain activity that was synchronized tightly in time. That suggested the drug was stimulatinglong-range connections the brain normally wouldn't make. After the drug wore off, brain activity went back to normal. Psilocybin may create a brain state akin to synesthesia, a sensory effect in which one sense stimulus (such as a number) always gets paired in the brain with another (such as a color or a sound), the researchers wrote in the paper. People with synesthesia may see certain colors when they hear music, or always see the number 3 in yellow, for instance, Expert said. The findings could help scientists who are studying the drug as a potential treatment for depression, Expert said. Past work has found that people tend to be happier even after using psilocybin just once, but scientists would need to get a much better picture of how the drug impacts the brain before using psilocybin to treat depression, Expert said. The research could ultimately also help answer bigger questions of the mind, like how people construct a sense of self. "Through studies such as these we can really begin to tackle the questions of how we achieve coherent experiences of ourselves in the world around us, and understand what makes this break down," said Mitul Mehta, a psychopharmacology researcher at King's College London, who was not involved in the study. Berlin (dpo) - In letzter Zeit war es wieder etwas ruhiger um den skandalgeplagten Flughafen Berlin Brandenburg. Doch nun sorgt eine verschwommene Amateuraufnahme im Internet für Aufsehen. Das Foto soll einen arbeitenden Bauarbeiter zeigen. Während in zahlreichen Foren darüber diskutiert wird, ob es sich um eine Fälschung handelt, halten es Experten für möglich, dass die Bilder authentisch sind. The idea came from the fact that US markets toss out 15 billion dollars worth of fruits and vegetables each year just because they are bruised or discolored. But they are still fresh and edible. I felt there was an opportunity to stop the waste, so Ugly Fruit was born. Ugly Fruit is a stand that makes juice, jams, and dried fruits out of unattractive produce donated from our neighborhood grocery stores. Ugly fruit, pretty yummy!